It can be hard to recover from a scandal: guilty or not, the accused will always have part of their reputation associated with whatever deed they were temporarily at the center of. For celebrities or anyone else in the public eye, scandals are par for the course. It’s one thing to screw up and then recover as time goes on; but coming back after a second, nearly identical scandal is much trickier. 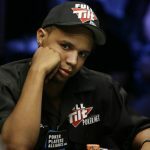 For Phil Ivey, things are about to get more complicated, as he faces yet another multimillion dollar lawsuit involving cheating. New Jersey’s Borgata Hotel Casino & Spa in Atlantic City is suing Phil Ivey in federal court for $9.6 million in past winnings. Borgata says that the 2012 winnings were earned by Ivey through cheating at high-stakes mini-baccarat. 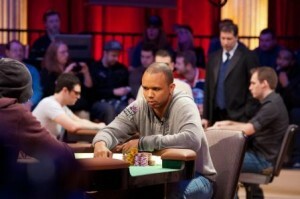 The casino claims that Ivey used a common exploit found in manufactured cards during four sessions of baccarat. This technique – called “edge sorting” – allowed Ivey to spot tiny variations in the cards to gain an advantage. 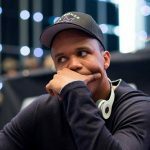 Between $25,000 and $100,000 a hand was wagered by Ivey during his trip to the Borgata last year to earn his $9.6 million total. Gemaco Inc. is also included in the lawsuit. Based out of Kansas City, Missouri, Gemaco is the company responsible for manufacturing the cards. Breach of contract, racketeering, fraud and civil conspiracy are some of the other charges included in the lawsuit against Ivey. The lawsuit – filed in the U.S. District Court in New Jersey last week – says that Ivey was assisted by Cheng Yin Sun. Sun, who is also named in the lawsuit, reportedly helped Ivey in his scheme by accompanying him to the baccarat table and spoke Mandarin Chinese with the dealer to instruct them on how to arrange the cards. Edge sorting is seen as a technique used by advantage players like Ivey to gain an edge over the house. Trained eyes are able to note miniscule flaws that appear on decks of cards when they have been improperly cut by the manufacturer. These flawed cards have a noticeable pattern on the back of them. Through his friend Sun, Ivey would ask that the flawed cards be dealt a certain way due to superstition. The dealer was then given instructions on how to turn the cards as they were being dealt. The lawsuit cites this dealing method enabled Ivey to arrange “good cards” in a way that allowed him to gain an unfair advantage. Ivey – who has often been called the Tiger Woods of poker – was in similar hot water last year. In May 2012, the pro sued Crockfords Casino in London for withholding $12.1 million dollars he won playing punto banco there. Britain’s oldest casino accused him of cheating in a manner nearly identical to the Borgata case. 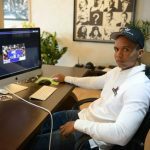 However, Ivey claimed that he wasn’t cheating, and was instead implementing a technique that gave him an edge over the house. Surprisingly, he admitted to using edge sorting at Crockfords. Ivey placed the blame on Crockfords for not checking the decks properly before the matches, and not recognizing the technique. Similar to the case with the Borgata, Ivey also had an associate who helped him distinguish good cards from a deck. Crockfords stands by the fact that Ivey engaged in a scam and acted in a way that defeated the premise of the game. The case is still pending as Ivey waits to collect his winnings. This man is Leaonardo da Vinci of poker … All this stuff will make him legendary in years to come. Long Live Phil Ivey. The mighty fall also. Just because they’re better at it doesn’t mean they should get a pass. This just proves that the house always wins. And it casts shadows on “pros” that already have significant advantage and shouldn’t need to cheat. But worse, it destroys our faith in humanity and the good guys. This is a shame that this man is sued for the same reasons:A defect in the cards manufacturing. piracy to destroy this man who is not supported enough by the poker community.